A sum of almost Rs. 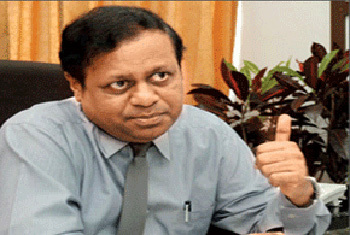 14 million has been spent on the foreign travels of witnesses pertaining to the case regarding the Ceylon Petroleum Corporation’s (CPC) hedging deals, Petroleum Minister Susil Premajayantha stated in Parliament today (November 24). The Minister stated that a sum of Rs.13,898,393 had been spent in this regard in reply to a question put forward by UNP MP Ravi Karunanayake. Furthermore he stated that a sum of Rs. 6,081,722.50 had been spent on a settlement with Citi Bank in Singapore while a sum of Rs. 7,810,671 was spent on a settlement with UK’s Standard Chartered Bank. He further added that these sums were borne by the CPC itself.